Sugar prices have begun to firm up. One story doing the rounds is that the government is finally considering the blending of ethanol with petrol favourably. That would bring more money to the sugar industry. The second is that with the onset of the festive season, prices of sugar invariably begin to soar. Third, is the possibility of sugar exports being allowed. If the third option is considered, it might be the best way out for the surplus sugar stocks lying with the industry. At least the stock disappears without the government having to pay a subsidy to the sugar industry. The second possibility is something that most Indians have learnt to live with. They know by now that despite protestations by bureaucrats and politicians that price increases will be checked, sugar prices always climb up during the festive season. This is true even when there are surplus stocks. Clearly, the ability to rig prices during festivities is strong. The government knows this. But it is either helpless or, more likely, it is collusive with the trade. That is one reason why the first possibility, that ethanol should be permitted to be blended with petrol is a worrisome thought. First, forget ethanol blending being good for the industry. The industry, especially in Maharashtra, has learnt the brilliant art of hiding profitable businesses under different entities. Thus profits from liquo0r, pharma, methane, etc are seldom shown as income belonging to the cooperative. The cooperatives are always shown to be loss-making. Second, it is doubtful if most legislators are aware that a 10 percent blending of ethanol with fuel will cause a 3 percent reduction in fuel efficiency. Go to the EIA website and you will find it there. Third, the talk about ethanol reducing the cost of fuel is hogwash. Ethanol is duty-free; petrol isn’t. Ethanol comes from sugar cooperatives which get water free. Petrochemical plants have to pay a price for the water they use. Sugarcane is an agricultural crop and incomes from sugarcane are tax exempt. But no produce from petrochemical plants is tax exempt. If you normalise all these things, the myth about ethanol being cheaper will get busted. Fourth, is the issue of water. Sugarcane (along with cotton) is a water guzzler. Yet it is a product that politicians in Maharashtra love. They have built an ecosystem around it ranging from sugar to alcohol. That is why Maharashtra has allowed the production of sugar to almost double (91% growth) since 1991. This means that instead of extending water to other farmers, the sugarcane industry has deprived this to millions of farmers. True, Uttar Pradesh (UP) accounts for the largest production of sugar in India (40 percent market share, see table). But Maharashtra is the second largest sugar producing state – accounting for a 21 percent share. UP can afford to grow sugarcane because it has plenty of water. Maharashtra cannot. It has little water. In fact, there are many reasons why Maharashtra should be discouraging the growth of sugarcane. Most importantly, this has prevented the state from improving its crop intensity. Growing more crops on land each year allows farmers to diversify their risk. So, if one crop fails another can generate money. Part of the distress in Maharashtra is caused by sugarcane growers. It promotes a lazy crop, which grows without demanding too much of attention and care from farmers. It occupies the land for almost the entire year thus preventing agricultural diversification. It also guzzles water. 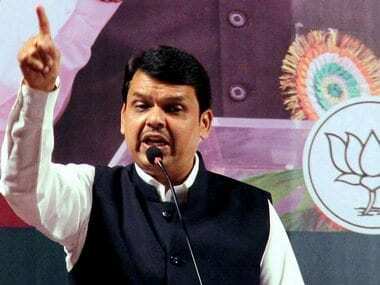 In order to ensure that water is available to sugarcane (and cotton) Maharashtra has constantly found excuses for not bringing more land under irrigation. Thus, while almost 50 percent of the gross cultivated land all over India is under irrigation, in Maharashtra, it is just 20 percent. So if farmers commit suicide, do remember one of the principal causes is the focus on and the love for sugarcane. Watch how the government has allowed the land under sugarcane cultivation to double. It should have been halved. This points to collusion of the state with the sugar barons of Maharashtra. Fifth, and finally, there is one more factor abetting the politicians’ addiction to the sugar industry. 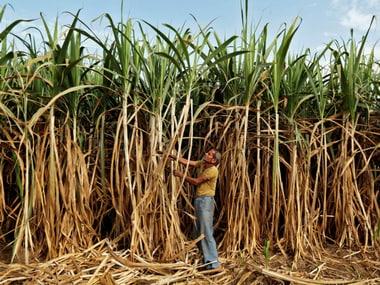 Sugarcane, in India, is closely linked to the production of alcohol through molasses. Even the slighted amount of diversion of alcohol from industrial to potable alcohol can result in bumper profits worth hundreds of crores of rupees. That is why the sugar industry is a major source for political funding. There is money to be made at every stage. Take industrial alcohol first. The latest government auction price for industrial alcohol last month was Rs 43.70 to Rs 59.10 per litre of ethanol. The open market price is around Rs750 a litre in the open markets (Amazon prices). But when industrial alcohol is converted into potable alcohol, the price difference could be an additional 10-100 times. The introduction of ethanol blending would give Maharashtra’s sugarcane lobby one more excuse to produce more alcohol (as separate entities, not as part of the sugar cooperatives), which in turn could mean that much more money for politicians. It would allow the industry to make more profits off the sugar books. Even the Government’s Tax &Duty Manual of September 2018 on Alcohol Products Tax and Reliefs Manual mentions the need to ensure that diversion of ethanol to alcohol does not take place. Another reason is legalising ethanol blending would make it a lot more difficult for any government to force the sugarcane industry to shrink its activities. But if farmer distress has to be reduced in Maharashtra, the sugar industry has to shrink. It is taking water away from other farmers. It has influenced the government to go slow on irrigation in non-sugar (and non-cotton) areas. It has hobbled agriculture, by preventing it to improve crop intensity. Sugarcane has become a bitter crop for Maharashtra. Ethanol is just one more way by which it seeks to gain legitimacy. Allowing such moves, would worsen the plight of farmers in this state.